Rescue Me Labradors - About Rescue Me Labradors of Kentucky and New England - Rescue Me Labradors - Our Mission: Giving Labradors and their Labby friends a second chance. Rescue Me is located in Lexington, Kentucky. We are a home based rescue helping dogs in need. We adopt in the New England states and work with many rescues also. Our adoptions are focused in the Northeast States because of overpopulation here in the south. All our dogs are currently in Kentucky but can be transported to your area for adoption. We rescue Labradors that find their way to high kill shelters in the south, mainly Kentucky. 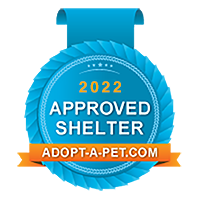 There is an overpopulation of pets at the shelters here in the south. The Labradors are pulled for rescue and given a second chance. They are given a home environment, medical care, vaccines, wormed, front line plus for fleas, heart worm tested and spayed and neutered. Basic training is started while they wait for their new home. Crate training and house manners are also started. Transport is available to the New England States every week. Please ask for the schedule as these trips are scheduled with a USDA transporter and may change. Each pet travels in a crate and is feed and given water during the trip. All pets are up to date on vaccines and travel with a Health Certificate.